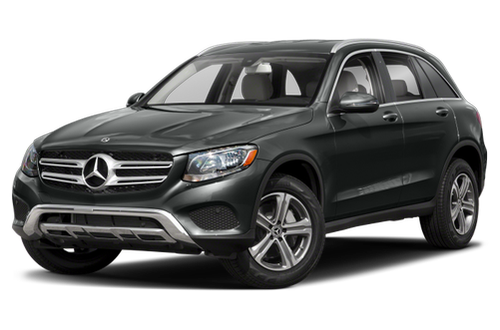 Have You Driven the 2019 Mercedes-Benz GLC 300? this car met all my needs. very comfortable, stylish and handles like a dream. It has great pick up speed plenty of leg room and the sond system is fantastic. This is the best car I ever bought. it is beautiful inside and out. Handles like a dream, turns on a pin and the sound system is wonderful. I love this car. I had a BMW X1 before this and you can't even compare the two. I never liked the BMW - but I love this Mercedes!! This car has plenty of power from the turbo 4 cylinder. The upgraded sound system is amazing. The upgraded seats are great for a taller driver. In Sport+ mode, the car has plenty of pep. We love our 300. It's small but spacious with comfort like no other. The 4 cylinder engine is quieter than our last vehicle with the V-6. It is getting better fuel economy than the V-6 too. I would recommend that you give this small class suv a good look if you're looking for comfort, smooth ride, and performance. I have been surprised and I think you will be too. I owned a 2018 GLC300 4MATIC and loved it. Unfortunately, it was stolen within 90 days of ownership. I purchased a 2019 GL3 4MATIC to replace it. The car is wonderful-- except for one glaring problem. I picked the car up from the factory outside of Stuttgart, Germany two weeks ago. It has been at the service center twice now due to the stabilizer bar not being installed properly. It was supposedly fixed but the same persistent loud clanking and vibrations felt through the steering wheel occurred 24 hours afterwards (I could literally hear a loud banging over the stereo and feel the steering wheel and front end shudder). The service center is currently replacing the stabilizer bar. In the meantime, I am disappointed that a car like this would have such a significant problem within 14 days of ownership. The noise and feel of the car was maddening to deal with--- as I went over the slightest bump or the car shifted from second to third gear, it sounded and felt like the entire front of the car was being held together by loose bolts and would fall apart at any moment. The Mercedes service center originally told me the stabilizer was installed improperly and was aligned too far left (and therefore banging into the vehicle frame constantly). Another extreme disappointment is that Germany Mercedes service centers refuse to provide a free loaner car to U.S. military members who purchased a U.S. specification vehicle through them (even though it is a brand-new vehicle that is completely under warranty). Their excuse is that is a different U.S. account covers such costs and therefore German service accounts will not pay for the loaner car even though their factory did not deliver a properly operational vehicle. This is completely unexpected and unsatisfactory for a luxury brand. I love Mercedes will seek another option in the future given the lack of customer support I experienced. This car meets all needs with just enough passenger and cargo room, great interior design, very smooth and quiet ride, excellent gas mileage. More powerful engine would make it even better. I am very impressed with the interior styling of the luxury SUV. The driving comfort is a dream. Beautiful exterior makes it a head turner. This is a great car for the price. I like driving it and I don’t usually like to drive. It is very convenient to run errands. I can't say enough about how much we enjoy this car. It checks all the boxes as Mercedes always does. Can't think of any negatives.